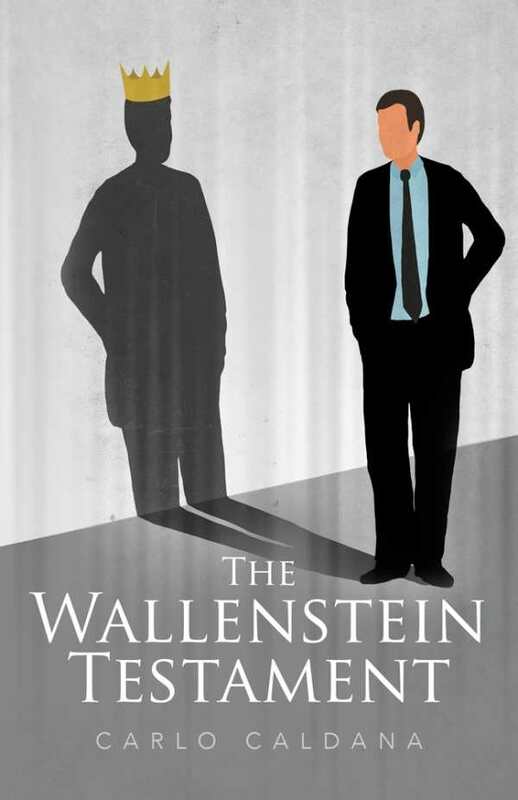 The Wallenstein Testament has all the ingredients of an enjoyable crime caper—a rapid-paced narrative, a wacky premise, and a quirky protagonist. The Wallenstein Testament, Carlo Caldana’s San Francisco-set comic crime caper, is a light, fun work. Edmund Amesbury lives in Satterfield Home, a residence for rich folks’ relatives who cannot cope with the real world. Edmund is not mentally ill. He believes he truly is the dauphin Louis-Charles, the only direct descendant of Louis XVI of France. Edmund also believes there is evidence of his heritage: the Wallenstein Testament, written in eighteenth-century Switzerland. Edmund is Satterfield-confined because of manipulations by his Uncle William and cousin Lester Amesbury, who have taken possession of his fortune and the testament. When Edmund learns that Lester is in the city living under a pseudonym, he escapes to locate his cousin and the testament, a pursuit aided by a part-time newspaper reporter named Christy Shannon. The plot of this short novel is gold-standard: good guy chases bad guy, facing dangerous confrontations at a let’s-see-what-happens pace. The quirky personality of the sympathetic protagonist enhances the text’s attraction. Quick character descriptions allow inference. Christy is young and eager, a Mary Tyler Moore type girl-on-the-move. She is also a game companion, sweet and caring yet ambitious. Her personality plays well against Edmund’s. His mannerisms are straight out of the Victorian era, and he uses phrases like “Your words sting, my dear,” making him alternately funny and wearisome. Uncle William and cousin Lester are seen only in reference, making them shadowy villains. The bad-guy role is filled by a seldom-heard, sometimes-seen thug with a badly scarred face. Other characters are generally bit players, Edmund’s friends and fellow Satterfield residents, who are sketched as caricatures. Edmund’s dialogue seems an affectation at times, which leads to some initial confusion about whether he is truly unstable, and makes him stand out among other characters, whose speech is more contemporary. Internal exposition sometimes becomes rife with adverbs and adjectives. Metaphors like “two lonely wire-hangers dangling like convicts on the gallows” are nice, if the text can become overly reliant on them. The San Francisco setting of the novel is sketched as a believable workingman’s city of cheap apartments and foggy streets. The Satterfield institution is simply background, and ultimately does not serve to deepen the story. The story comes together comfortably at the conclusion, and those who enjoy mysteries with minimal bloodshed will find that The Wallenstein Testament has all the ingredients of an enjoyable crime novel—a rapid-paced narrative, a wacky premise, and a quirky protagonist.